We are committed to protecting the environment and labelling our products with the extra low emission E-LE butterfly emblem shows this. Extra low emission E-LE products contain only half the level of formaldehyde emissions that are already considered safe in standard E1 particleboard products. The annual In-House Fair at FALCO took place this year from the 23rd – 24th June, 2011. On the first day of the event, we hosted our Hungarian partners at FALCO, and we welcomed our international partners the following day. During these two days, over 40 companies and more than 100 people attended the professional programs. FALCO had announced during its successful in-house fair in September 2010 that the worktop portfolio was going to be developed and widened for 2011. The direction of the development was defined according to the demand of the market. On Saturday, 18th September, FALCO celebrated its Open Day. Over 400 employees, their friends and family gathered at the factory for food, drinks and entertainment. The event kicked off at 14:00 with children’s programme, which included a giant air slide, face painting, sumo wrestling, and more. In August, 2010, FALCO received the Forest Stewardship Council (FSC) certificate for its wood-based panel production. 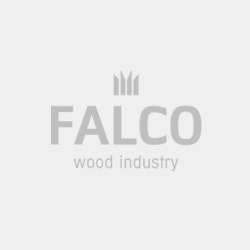 For customers of FALCO, the certification represents that all raw wood materials utilised in our production process are identifiable as coming from FSC controlled timber. 15 new decors and a stunning new structure; we’ve been busy. What does it mean to develop? By definition, development is the process of realising potential and discovering new possibilities. For the best companies, it is a non-stop exercise where the reaching of a goal merely triggers another. FALCO. is setting the trend for the future. With a refreshed brand in new and existing markets, FALCO is soon to be positioned as a modern and competent partner. The historic roots of this traditional company go back to 1939. Over nearly seven decades, the company has developed into one of the leading producers of wood based panels for the furniture and building industries throughout Central and Eastern Europe.